Home Columns A Venglos View Aston Villa Pre-Sign Attacking Midfielder Under the Radar! Aston Villa Pre-Sign Attacking Midfielder Under the Radar! If there’s one player we’ve been crying out for at Aston Villa to sort out the lack of creativity at Villa Park, boost Villa’s possession and ability to dictate games, and also feed Christian Benteke, it’s a decent attacking and creative midfielder. Apparently, Villa has found their man during the summer transfer window, but his agents played such hardball on his contract, the club were unable to finalise the deal before the deadline. It seems ever since the summer break, Villa have been busy under the radar locking down the deal that was actually pre-signed in November, with the player finally being able for selection for Villa in January. While here at MOMS we like to see Villa players given a fair crack of the whip before judging them, we are dumbfounded at the extent of Lambert’s focus on the long-term, as opposed to addressing Villa’s current short-term woes. 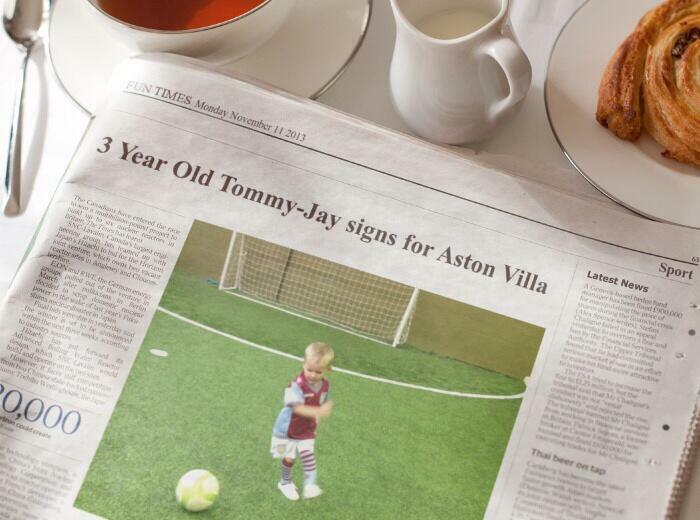 It’s surely going to be a good two decades before we see Thomas-Jay pulling the strings in the Villa midfield. Isn’t it? Young and hungry is all well and good to provide a ‘bright future’ for Villa, but what about the ‘mundane present’ Mr Lambert?! A Venglos View is a satirical (and sometimes surreal) look at the Villa.